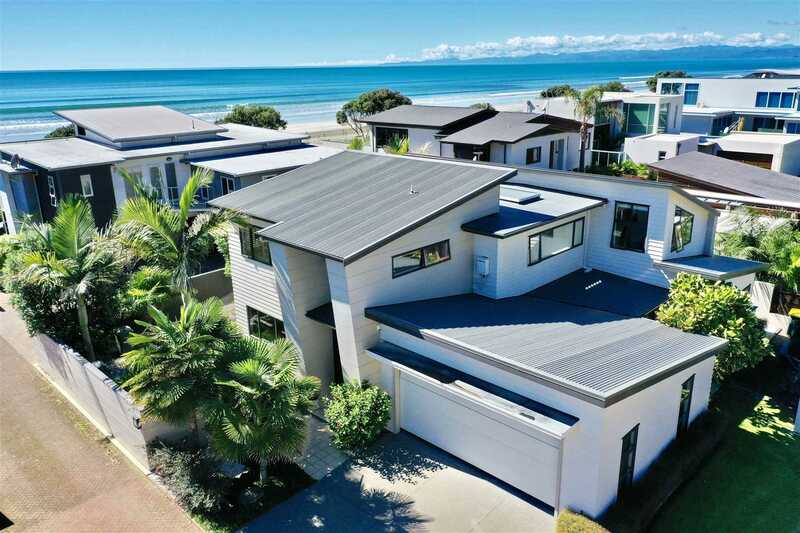 Look no further than this outstanding 4 bedroom designer home in Ohope's premier destination. Sitting amongst the best there is to offer in Ohope this home is a statement of style and luxury. From the moment you open the front door, you know you are going to be impressed and that is exactly how I felt from the moment I stepped inside. Stunning American oak floors add warmth and the WOW factor to this very modern and well designed home. Step into the spacious & elegant lounge, feel the relaxing vibe this room offers or throw back the doors and enjoy the gorgeous, private patio area, ideal for entertaining family and friends.. Private, relaxing and the ideal escape from a busy lifestyle......time to reflect, soak in the realization that this is home.......your home! This property is being offered for sale by SET SALE DATE with all offers to be submitted by 4pm on Wednesday 24th April 2019 (unless sold prior). The kitchen is a masterpiece, designed by Beaver kitchens and therefore quality is the theme, functionality is the purpose. Simple and timeless are two words that come to mind. The dining and family lounge area are the perfect segway to the outdoor living and this space provides the house with a central hub. There is a guest bedroom located on this floor which gives privacy and separation from the upstairs living. A stunning bathroom suite services the ground floor living areas with ease. The staircase is itself a thing of beauty, simple, elegant but somehow a design feature that pulls this home together and promises to reveal more than expected with every step. The first sign that the staircase has delivered on its promise is the master bedroom with its spacious and elegant feel. An escape from the world below and with an exceptional walk in robe and ensuite, really no reason to leave! This level is divided by the open stairwell and an ingenious but simple open plan office area incorporated into the design.....very, very clever and something I have not seen before. Two additional bedrooms, both spacious and having their own built in study areas make perfect sense and offer a multitude of options. The family bathroom services this floor to perfection. With the Ohope school just up the road, there is no need to spend precious time in traffic and with your own private beach access you can be on the beach in a matter of seconds! You would expect a home of this quality to provide excellent garaging and storage, rest assured this home excels with oversized double garaging, internal access and additional storage. If you are looking for exceptional design, functionality and style, then this house will deliver on all counts, call now before its too late!